An inspirational show that discusses the successes and failures of life and how in the midst of it all we should consistently, "Count It All Joy." Tonya and Joseph have a great exchange and their friendship transcends the show as they talk about a lot of topics that affect us all. 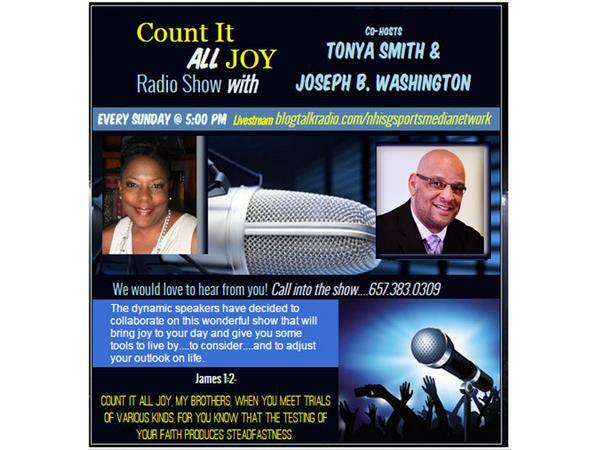 Make sure to tune in on Sundays and "Count It All Joy!!"